RAVENOL Hydraulikoel HLP-D 32 is a detergent hydraulic oil with good net and cleaning effect. 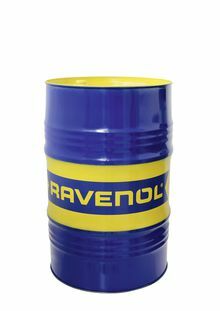 RAVENOL Hydraulikoel HLP-D 32 is designed with selected base oils with additives to prevent corrosion, wear and friction. RAVENOL Hydraulikoel HLP-D 32 also contains detergent and dispersing agents, which always provide for a clean hydraulic system. These additives dissolve contaminants, hold them in suspension and enabling the cleaning of contaminated hydraulic systems. The functional elements of a hydraulic system thereby remain free of deposits and bonds. This will emulsified penetrating water and ensure trouble-free operation of the hydraulic system. RAVENOL Hydraulikoel HLP-D 32 is for use in agriculture hydraulic systems, construction machinery, cement factories, fondries, electro-plate clutches. It can also be used as functional test oil, inlet oil for aggregates and machinery, textile machinery and machine tools. RAVENOL Hydraulikoel HLP-D 32 exceeds the requirements of hydraulic oils according to DIN 51 524 Part 2 for hydraulics. High aging resistance and high corrosion protection. Excellent wear protection and proper conduct foam. Neutral behaviour towards sealing materials. Extremely good detergent and dispersant characteristics. Excellent corrosion protection even at the ingress of wetness.